Thales participated at Defexpo 2018, with Solutions for Land, Sea & Air. As a reliable Partner to the Indian Armed Forces, Thales continues to help them master every decisive moment with its High Technology Solutions across Land, Sea, Air and Cyber Space. “From equipping Soldiers with the most accurate solutions to strengthening the country’s Land, Sea and Air Defence capabilities, we fully support the ambitions of the Indian Armed Forces. We are proud of our various Solutions on which the Indian Armed Forces rely, and of our collaborations built with the Local Industry over the years. At Defexpo 2018, we will demonstrate how we help our local customers and Partners master every decisive moment through our High-Tech Solutions” said Emmanuel de Roquefeuil, VP & Country Director, Thales in India. Thales and ‘Make-in-India’: Present in India since 1953, Thales has been playing an essential role in India’s growth story by sharing its technologies and expertise in sectors such as Defence and Aerospace, among others. 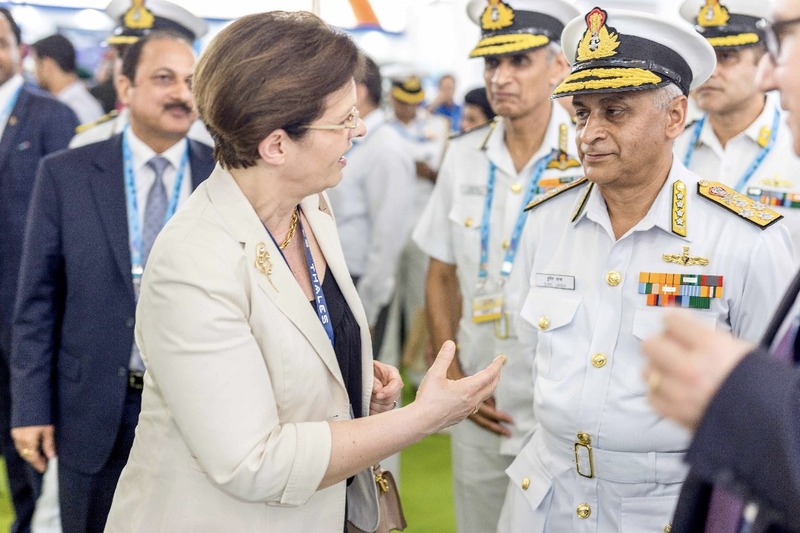 At Defexpo 2018, Thales highlighted its efforts in line with the Government’s ‘Make-in-India’ initiative. The spotlight was on the flagship PHAROS Fire Control Radar that is Jointly Developed with JV company BEL-Thales Systems Ltd. This system in line with the ‘Make-in-India’ vision will serve both Domestic Indian and International market requirements. Going digital – Thales’ Integrated Defence Solutions: Visitors at the Thales stand were able to get an insight into its extraordinary High-Technology Solutions across Land and Naval Defence through special digital experience kiosks. Providing an immersive experience, these kiosks allowed visitors to discover Thales’ cutting-edge capabilities in Air Defence, Radars, Acoustics and Optronics, Armaments, Land and Naval Communication, UAV, among others. This wide range included Solutions like Multi-Role Missiles such as STARStreak, Light-Weight Multi-Mode (LMM) and Fury, range of Rocket Systems, Surveillance Radar such as I-Master, Sonars such as, CAPTAS-1 and FLASH, the Airborne ISR Solution AMASCOS, and the most advanced Latest-Generation of contact Airborne Intelligence, Surveillance and Security Mini-Drone UAV System, Spy’Ranger, etc. Thales in India: Thales is headquartered in New Delhi and has other operational offices and sites spread across Gurgaon, Hyderabad, Bengaluru, Chennai and Mumbai, among others. Over 600 employees are working with Thales and its Joint Ventures in India.